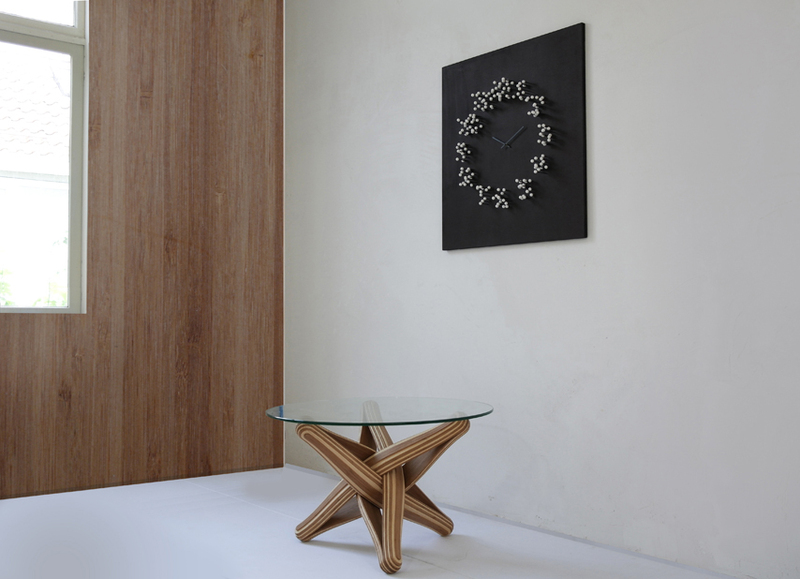 "LOCK" is designed out of the qualities, possibilities and characteristics of its highly sustainable material: BAMBOO. 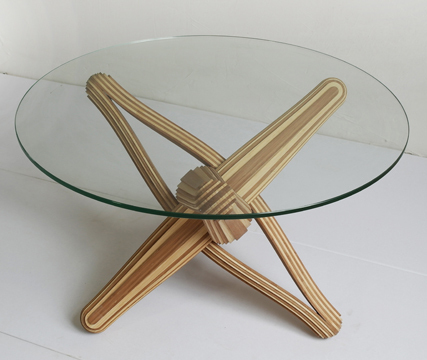 The frame is build up from layers of flexible bamboo. The layers are pressed together. 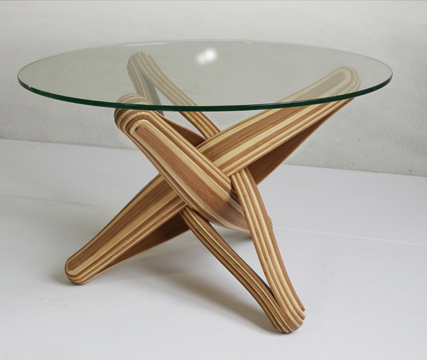 The shape is formed by the bamboo's natural bending curve. 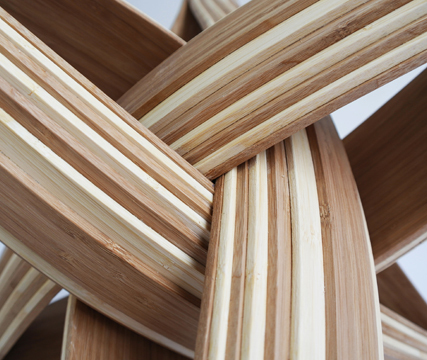 The layers of bamboo curve through each other and entwine, locking each other in place. 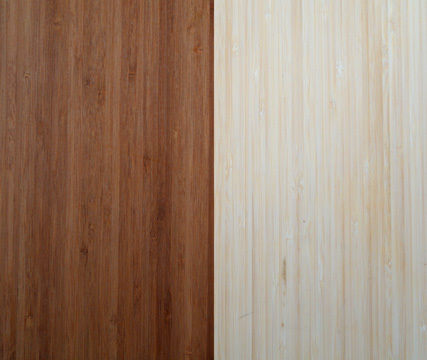 For the layered frame: two different color-tones are used: natural and caramel bamboo. 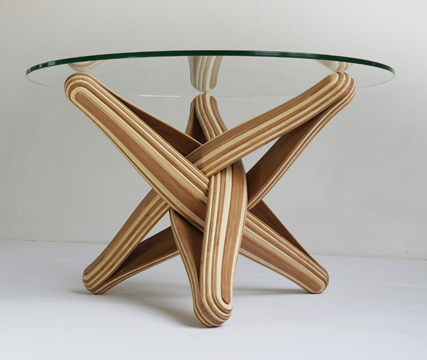 This “layer cake”enhances the curves and shape of the table. End result is a mix of nature and mathematics, of possible and impossible. A super strong muscular dynamic shape that looks different watched from different viewing points. 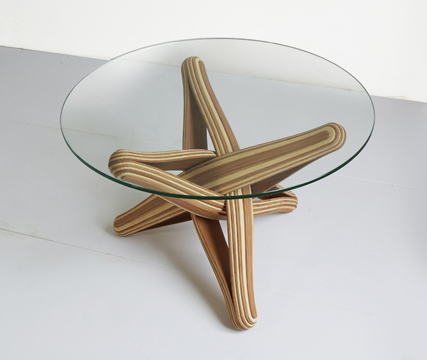 A contemporary coffee table design and a mid-century homage. 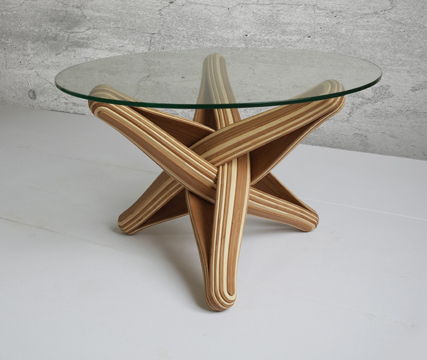 Bamboo is a strong flexible beautiful and renewable material. 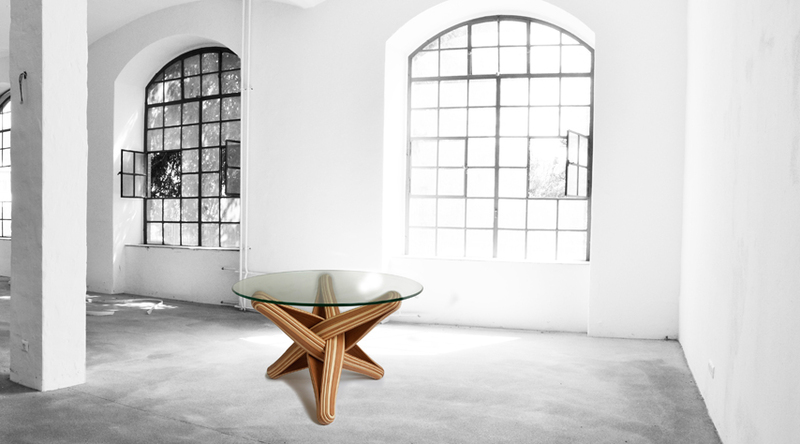 Bamboo grows without the help of fertilizers. The bamboo tree is mature enough to be cut after three years. The trees are processed into the most environmentally sustainable wood on Earth. click here to download price list in PDF for more technical info, shipping costs and conditions.